As people entrusted with a high level of responsibility, it stands to reason that managers will greatly benefit from a thorough assessment of their personality and skills. 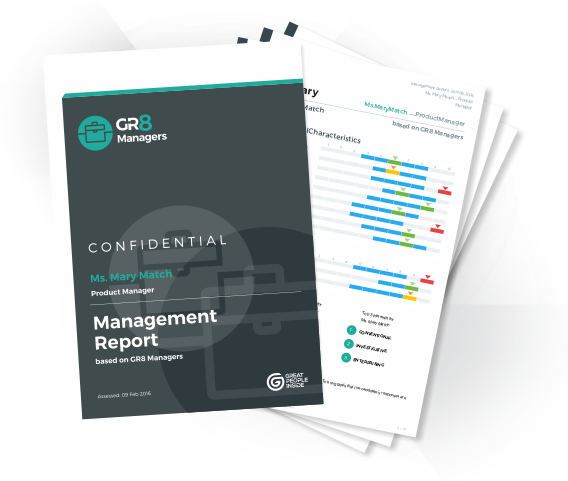 Inspired by Jim Kouzes and Barry Posner’s work the GR8 Managers tool focuses on identifying management potential from several different perspectives. These include the three main managerial qualities of fairness, foresight and inspiration, as well as the ability to work with generation diversity and in a VUCA (volatile, uncertain, complex, ambiguous) environment.